Christmas is one of the most sociable times of the year so whether you’re planning a lively get together with friends or a quiet family gathering, there’s no better way to get into the Christmas spirit than by mixing up some festive cocktails. 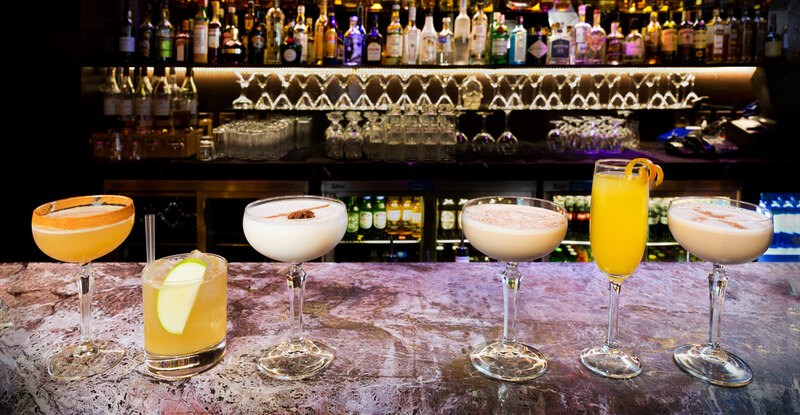 Using a selection of simple ingredients and easy-to-follow methods, bar tenders from the award-winning Fitzwilliam Hotel share their favourite winter cocktails to dazzle your senses with a mixture of warm flavours, vibrant colours, and soothing aromas. So pick up your cocktail shaker and try a creamy Baileys-based-beverage to warm you up on a winter evening or a festive Mimosa to add a sparkle to your night. Shake ingredients well over ice and double strain into the glass. Garnish Sprinkle a small amount of ground nutmeg on top and finish with star anise on the side.